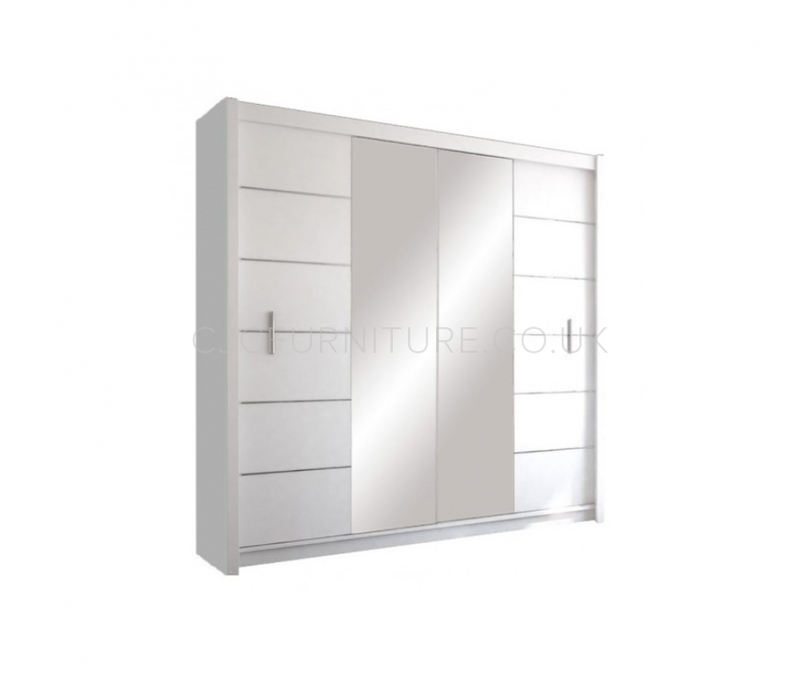 Add an extra touch of style with the Lizbona 2 sliding door wardrobe to your bedroom, hallway, and dressing room or wherever extra storage is needed. This is not just an ordinary piece of furniture as it features big mirrors – every woman’s dream – as well as a well-organised interior. 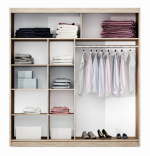 Inside there is a wide hanging rail, a row of spacious shelves as well as 2 huge upper shelves. 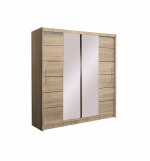 The wardrobe is available in white with a plain mirror or in Sonoma oak with a smoked mirror. Such colours and mirror on doors will brighten up the interior and make your room visually larger.